When the Showroom Settings panel appears, switch to the Orders tab at the top. The Export Requirements will appear in the lower right corner. 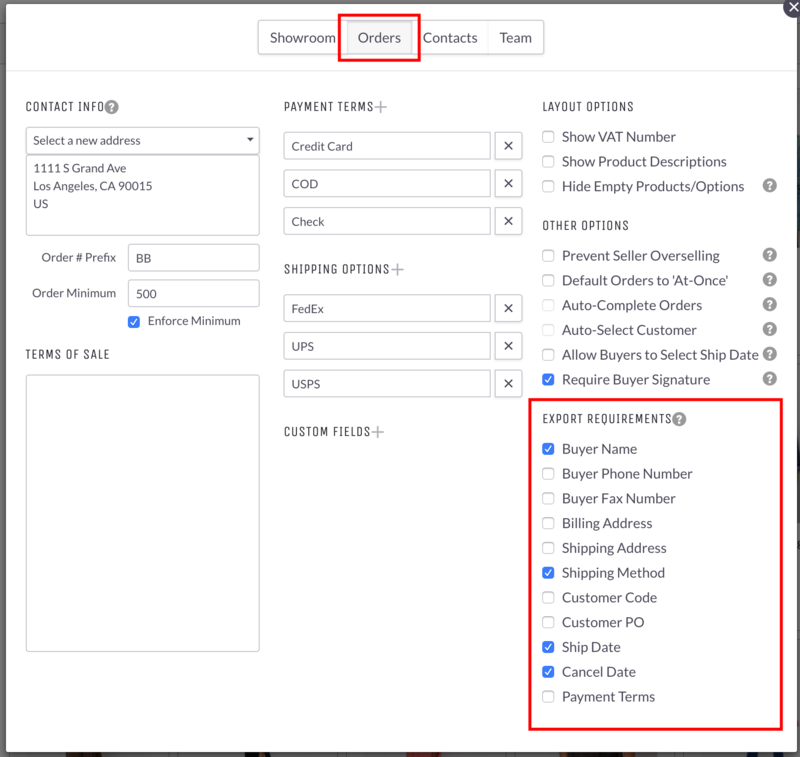 Check the box for the fields you wish to make required when an Order's Export Status is being set to Export Ready or Exported. 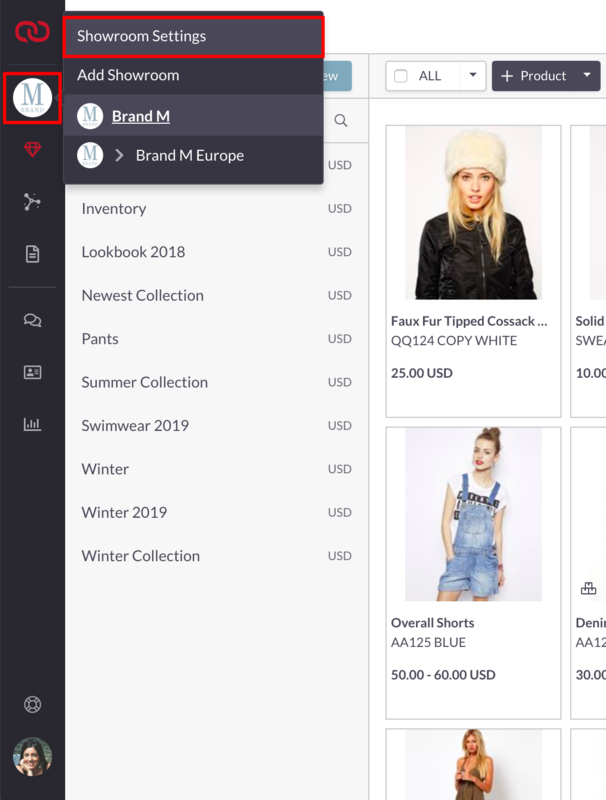 This will ensure that any members of your team helping to work on Orders don't accidentally export an Order with important information missing.